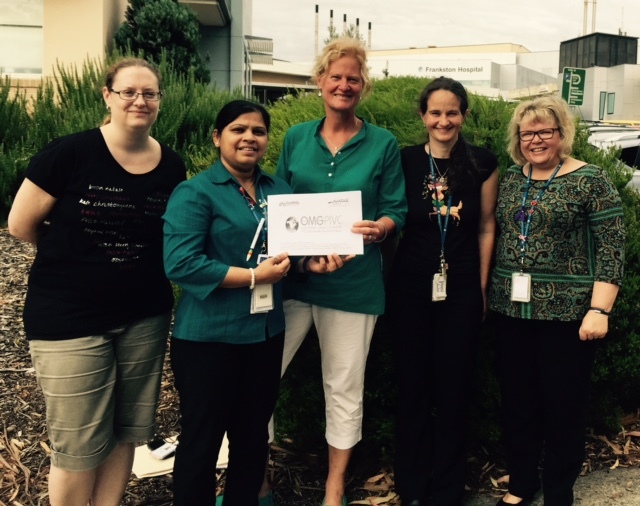 The RSVP study, comparing administration set changes at 4 days versus 7 days for CVADs and arterial lines, has started the New Year off with an additional site in Western Australia, The Princess Margaret Hospital. Currently there are 7 hospitals across three States within Australia, recruiting for this large randomised controlled trial. The Save study comparing simple transparent dressings with the novel method of tissue adhesive and two commercially available technologies, bordered polyurethane and suture less securement devices, recently completed a clinical staff survey of acceptably of study products and understanding of PIVC securement. This month we are conducting a nominal group discussion with key stakeholders (leading clinicians, educators and policy advisors from the Royal Brisbane and Women's Hospital and the Princess Alexandra Hospital), to identify barriers and enablers to dissemination and incorporating SAVE trial findings and recommendations (yet to be determined) into practice. Our global prevalence study of peripheral intravenous catheters continues, with over 700 hospitals in more than 60 countries now taking part in this world-first study. Feedback from participating hospitals has been terrific, with many sites reporting that the study had really raised awareness among staff about the importance of best practice PIVC management, spurring staff to instigate new initiatives for education and training in their hospitals. Data collection ends on 30 April 2015, and we are looking forward to sharing the results. Thank you to everyone who has worked so tirelessly to make this project a success! 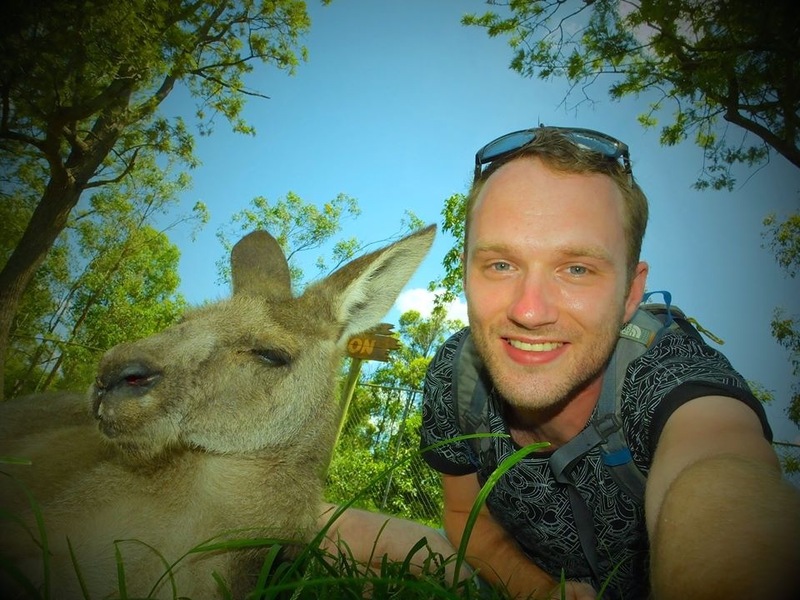 "I'm a final year medical student at the University of Aberdeen in Scotland. I will be presenting my results at National infusion and Vascular Access Society (NIVAS) Conference in Bristol, UK in June 2015. I am also currently looking for a suitable journal to get the results published in." You are invited to join AVAS at its first event, Updates in Vascular Access, at the Mercure Sydney! We are excited to present a fun and educational afternoon focusing on Updates in Vascular Access. This educational offering from AVAS will be held after the AGM. The Event Program is now released! Click the link to open and save the program. Please register by logging into your profile. Non-members must set up a profile. Members as well as non-members must register to attend. 31 July 2015 Brisbane Entertainment and Convention Centre - register now! New book published, co-edited by the President of the VAS, Matthias Widmer. Not only are dialysis access creation and maintenance prone to complications, but patients suffering from end-stage renal disease and its comorbidities generally have a high risk of adverse events during their continuous treatment. Preventive strategies are key to avoid harm and to improve the outcome of the treatment of the growing number of patients with chronic kidney failure, especially as doctors and nurses are not always aware of the consequences of unsafe behavior. This publication is intended for health care professionals nurses as well as doctors and aims to raise the awareness of patient safety aspects, combining medical education with evidence-based medicine. 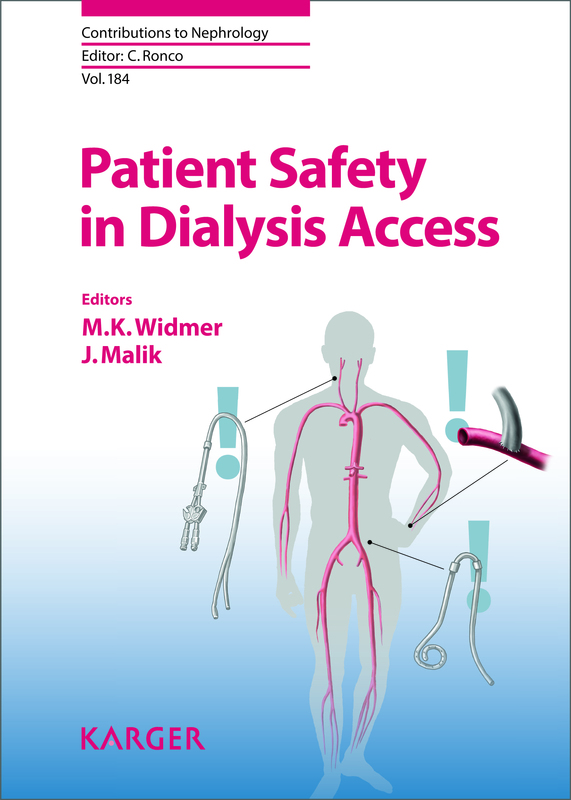 After a general overview of the topic, an international panel of authors provides a diversified insight into important concepts and technical tricks essential to create and maintain a functional dialysis access. The overarching aim of Nicole's project is the investigation of the effect of parenteral nutrition (PN) on microbial growth and its link to catheter-related blood stream infections (CRBSI) in patients with a central venous access device (CVAD). This group of patients are vulnerable to a variety of opportunistic pathogens due to their compromised immune status and are commonly prescribed PN due to their disease or the side effects of their treatment. The results of this study will provide information about the safety and efficacy of the clinical practices of PN administration and CVAD practices which will improve clinical practice and reduce rates of CRBSI in cancer patients and be extrapolated to acutely unwell hospitalised patients. The Central venous Access device SeCurement And Dressing Effectiveness: the CASCADE study. This pilot study is a four arm RCT that will assess the feasibility of different dressing and securement devices for CVLs in adults. It aims to identify clinically and cost-effective securement and dressing approaches to prevent CVAD failure. This study, which will be conducted at the Princess Alexandra Hospital ICU, has received funding from the Intensive Care Foundation and will be submitted to HREC in the near future. Simonov M, Pittiruti M, Rickard CM, Chopra V. Navigating venous access: a guide for hospitalists. Journal of Hospital Medicine. 2015. On-line early March. Marsh N, Webster J, Flynn J, Mihala G, Fraser J, Rickard CM. Securement methods for peripheral venous catheters: A randomised controlled pilot trial. Journal of Vascular Access. 2015. On-line early 4th Feb.
A single-centre, four-arm, randomised, controlled, non-blinded, superiority pilot trial was conducted in a tertiary referral hospital in Queensland (Australia), between November 2012 and January 2013. Adult patients, with a PIVC expected to remain in situ for 24 hours and admitted to general medical or surgical wards, were randomly allocated to standard polyurethane dressing (control, SPU), tissue adhesive (TA) with an SPU, bordered polyurethane dressing (BPU) or sutureless securement device (SSD) with an SPU, experimental groups. The primary endpoint was PIVC failure, defined as premature device removal before the end of therapy because of pain, blockage, leaking, accidental removal and local or catheter-related bloodstream infection. PIVCs were used for an average of 2.6 days across all study groups (n = 85). Catheter failure was lowest in the TA group (3/21, 14%) and highest in the control group (8/21, 38%), with BPU and SSD failure at 5/20 (25%) and 5/23 (22%), respectively. The adjusted hazard ratio of catheter failure was lowest in the TA group (0.50, 95% CI: 0.13-1.98), and then the BPU (0.52, 95% CI: 0.15-1.78) and SSD (0.61, 95% CI: 0.20-1.91) groups. No patient was suspected of a local or catheter-related bloodstream infection. Current SPU dressings alone do not prevent many cases of PIVC failure. TA appears promising as an innovative solution, but may not be suitable for all patients. A larger Australian National Health and Medical Research Council (NHMRC)-funded trial has commenced. Ullman A, Keogh S, Marsh N. Routine versus clinically indicated replacement of peripheral catheters. British Journal of Nursing. 2015. 24(Sup2): S14. Currently the US Centers for Disease Control and Prevention (CDC) state that the peripheral intravenous catheters do not need to be replaced more frequently than every 72 to 96 hours to reduce the risk of infection and phlebitis in adults (O'Grady et al., 2011). Of the 200 million peripheral intravenous catheters estimated to be inserted each year in the USA alone, if even 15% are needed for more than three days, then a change to clinically indicated replacement would prevent up to six million unnecessary intravenous catheter insertions, and would save about two million hours of staff time and up to US$60 million in health costs each year for that country alone. The study aimed to understand the effect of extension of peripheral intravenous catheter dwell-time beyond three days with replacement of catheters only for clinical reasons. It postulated that patients who had peripheral intravenous catheters replaced when clinically indicated would have equivalent rates of phlebitis and no difference in other complications compared with patients with catheters removed every third day. A multicentre, non-blinded, randomised controlled equivalence trial was undertaken in three university-affiliated hospitals in Queensland, Australia (Royal Brisbane and Women's Hospital, Herston; Princess Alexandra Hospital, Woolloongabba; and Gold Coast Hospital, Southport) between May 2008 and September 2009. It recruited adults (18 years) with a peripheral intravenous catheter of expected use longer than four days and participants were randomly assigned to receive either clinically indicated intravenous catheter replacement, or third daily routine replacement. From the 3283 patients randomised (5907 catheters) phlebitis occurred in 7% patients of both the clinically indicated and routine replacement groups. No patient had a venous (local) infection and groups were equivalent for all-cause bloodstream infections and catheter colonisation. Only one patient had a catheter-related bloodstream infection and this patient was in the routine replacement group. Rates of infiltration, occlusion, accidental removal, total infusion failure, and in-hospital mortality were all equivalent between groups. The study demonstrated that peripheral intravenous catheters can be removed as clinically indicated. The results of the study are consistent with previous smaller randomised controlled trials (Rickard et al., 2010, Van Donk et al., 2009, Webster et al., 2008, Webster et al., 2007) and a systematic review that showed no benefit of routine replacement for phlebitis or catheter-related blood stream infections (Webster et al., 2010). The CDC guidelines currently recommend clinically indicated treatment in children (O'Grady et al., 2011). Intravenous catheters are already frequently left in place beyond the currently recommended 72 to 96 hours typically as the result of a complex clinical judgment, rather than a policy violation (Schultz and Gallant, 2005, Palese et al., 2011). The CDC itself tempers its 72 to 96 hour replacement recommendations with "if sites for venous access are limited and no evidence of phlebitis or infection is present, intravenous catheters can be left in place for longer"(O'Grady et al., 2011) Thus, a change to policies of clinically indicated removal of intravenous catheters might not be very far from the current real-world approach that occurs despite policies and recommendations. Contemporary evidence now suggests that clinically indicated replacement of peripheral intravenous catheters is safe. Updated intravenous catheter policies (including CDC guidelines for adult patients) should advocate clinically indicated removal - focussing on monitoring and immediately removing intravenous catheters for complications or as soon as treatment is complete. Routine intravascular catheter resite involves pain for patients, staff procedural time, equipment costs and environmental waste. Rickard CM, Marsh NM, Webster J, Gavin NC, McGrail MR, Larsen E. Corley A, Long D, Gowardman JR, Murgo M, Fraser JF, Chan RJ, Wallis MC, Young J, McMillan D, Zhang L, Choudhury MA, Graves N, Playford EG. Intravascular device administration sets: Replacement after Standard Versus Prolonged use in hospitalised patients. The RSVP trial: study protocol for a randomised controlled trial. BMJ Open. 2015. Feb; 5(2), 1-5. Introduction: Vascular access devices (VADs), such as peripheral or central venous catheters, are vital across all medical and surgical specialties. To allow therapy or haemodynamic monitoring, VADs frequently require administration sets (AS) composed of infusion tubing, fluid containers, pressure-monitoring transducers and/or burettes. While VADs are replaced only when necessary, AS are routinely replaced every 34days in the belief that this reduces infectious complications. Strong evidence supports AS use up to 4days, but there is less evidence for AS use beyond 4days. AS replacement twice weekly increases hospital costs and workload. Methods and analysis: This is a pragmatic, multicentre, randomised controlled trial (RCT) of equivalence design comparing AS replacement at 4 (control) versus 7 (experimental) days. Randomisation is stratified by site and device, centrally allocated and concealed until enrolment. 6554 adult/paediatric patients with a central venous catheter, peripherally inserted central catheter or peripheral arterial catheter will be enrolled over 4years. The primary outcome is VAD-related bloodstream infection (BSI) and secondary outcomes are VAD colonisation, AS colonisation, all-cause BSI, all-cause mortality, number of AS per patient, VAD time in situ and costs. Relative incidence rates of VAD-BSI per 100 devices and hazard rates per 1000 device days (95% CIs) will summarise the impact of 7-day relative to 4-day AS use and test equivalence. Kaplan-Meier survival curves (with log rank Mantel-Cox test) will compare VAD-BSI over time. Appropriate parametric or non-parametric techniques will be used to compare secondary end points. p Values of <0.05 will be considered significant. Ethics and dissemination: Relevant ethical approvals have been received. CONSORT Statement recommendations will be used to guide preparation of any publication. Results will be presented at relevant conferences and sent to the major organisations with clinical practice guidelines for VAD care. Trial registration number Australian New Zealand Clinical Trial Registry (ACTRN 12610000505000). We report a case of peripherally inserted central venous catheter (PICC)-associated deep vein thrombosis (DVT). Ultrasound images and video of subclavian thrombus are presented. PICC line-associated DVT, particularly in cancer patients is not uncommon. Point-of-care Emergency Department ultrasound can readily diagnose this complication and device removal is not always necessary. the PICC's debut in the 1970s its popularity has increased exponentially. This is attributed primarily to perceived safety, ease of insertion, and increased dwell time when compared to other central venous access devices. PICCs are, however, not without complication, and the relatively high rate of PICC-associated thrombus is recognized. Case History: A 40-year-old male with a diagnosis of metastatic cholangiocarcinoma (malignancy of the bile ducts) presented to a busy metropolitan ED. He had been receiving intravenous chemotherapy for several weeks, through a 5Fr double lumen power injectable PICC inserted into his right basilic vein. He presented with right arm swelling, discomfort, and discoloration. Bedside ultrasound in the emergency department rapidly confirmed our clinical suspicion, and displayed an acute, completely occlusive PICC-associated thrombus, involving the basilic, axillary, and subclavian veins. There was no internal jugular or brachiocephalic vein involvement. of his PICC-associated deep vein thrombosis (DVT) and repeated the ultrasound examination. This demonstrated complete resolution of the basilic, axillary, and subclavian thrombus. Reynolds H, Taraporewella K, Tower M, Mihala G, Tuffaha H, Fraser JF, Rickard CM. Novel Technologies Can Provide Effective Dressing and Securement for Peripheral Arterial Catheters: A Pilot Randomised Controlled Trial in the Operating Theatre and the Intensive Care Unit. Australian Critical Care. 2015. January. On-line early. Peripheral arterial catheters are widely used in the care of intensive care patients for continuous blood pressure monitoring and blood sampling, yet failure - from dislodgement, accidental removal, and complications of phlebitis, pain, occlusion and infection - is common. While appropriate methods of dressing and securement are required to reduce these complications that cause failure, few studies have been conducted in this area. To determine initial effectiveness of one dressing and two securement methods versus usual care, in minimising failure in peripheral arterial catheters. Feasibility objectives were considered successful if 90/120 patients (75%) received the study intervention and protocol correctly, and had ease and satisfaction scores for the study dressing and securement devices of 7 on Numerical Rating Scale scores 1-10. In this single-site, four-arm, parallel, pilot randomised controlled trial, patients with arterial catheters, inserted in the operating theatre and admitted to the intensive care unit postoperatively, were randomly assigned to either one of the three treatment groups (bordered polyurethane dressing (n=30); a sutureless securement device (n=31); tissue adhesive (n=32)), or a control group (usual practice polyurethane dressing (not bordered) (n=30)). One hundred and twenty-three patients completed the trial. The primary outcome of catheter failure was 2/32 (6.3%) for tissue adhesive, 4/30 (13.3%) for bordered polyurethane, 5/31 (16.1%) for the sutureless securement device, and 6/30 (20%) for the control usual care polyurethane. Feasibility criteria were fulfilled. Cost analysis suggested that tissue adhesive was the most cost effective. The pilot trial showed that the novel technologies were at least as effective as the present method of a polyurethane dressing for dressing and securement of arterial catheters, and may be cost effective. The trial also provided evidence that a larger, multicentre trial would be feasible.